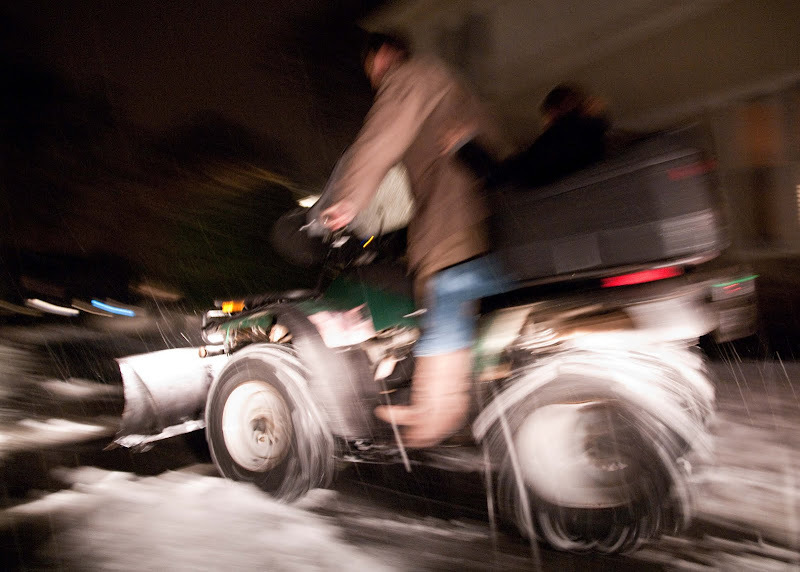 Mr. CM got a new toy... and a new, improved method for snow clearing! When my girls learned it is called an "ATV", they asked: Does that stand for "Awesome Teeny Vehicle"? Oh, my! I'm JEALOUS! This so beats our tired old snow blower...I bet when this was taken, the concept of 'snow' was still 'fun'.